SARI Anti-discrimination football workshop back on the road. We were in Bantry on Tuesday delivering two workshops to Colaiste Pobail Bheanntrai. Let us know if you would like us to visit your school. Never too late to start hurling! Great to have the #PaceAcademy and #Thirdhalfsoccer with us in the Phoenix Park. Big thanks to Johnny McGlynn - top coach! For the past ten days we have been hosting students from the #PaceAcademy, Atlanta, Georgia and have been introducing them to the SARI programme as well as partaking in many other activities around Dublin and further afield - and taking them to Northern Ireland. It was great to have them with us at Soccernites on Friday. Thanks to #thethirdhalf for bringing The Pace Academy to visit SARI. SARI are supporting the City of Sanctuary Peace and Friendship inter-community football match which takes place this Sunday at the Dublin Indoor Astro pitches, Unit 5, Airways Industrial Estate, Santry, Dublin 9. All welcome. 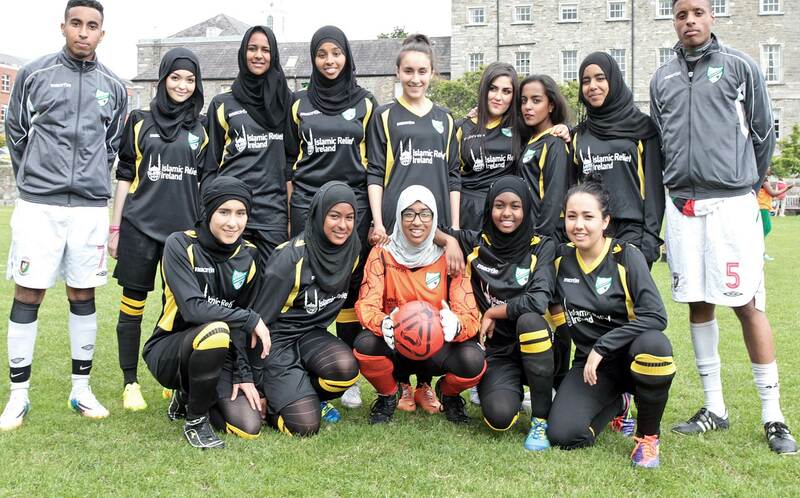 A new season of Hijabs and Hat-tricks' Diverse City FC starts this Sunday 15th January at the Garda and Camogie Grounds, Phoenix Park, Dublin. Tackle racism and challenge discrimination. A great opportunity to play football and to bring the skills you learn on the pitch into your everyday life with the Young Leaders programme: learn about SARI and the work we do, get involved with No Hate Speech movement, participate in the GAISCE Award for personal development, Earn your Kick Start 1 and Kick Start 2 coaching badges, learn about nutrition and wellbeing, represent SARI at home and abroad. Many thanks to Don Bosco House for the Xmas friendly last night and for their warm hospitality. Match finished 3-1 to SARI! Many thanks to the #UEFA Foundation for Children for their very generous donation to SARI. Five large boxes of footballs and sportswear have just arrived at the SARI office. 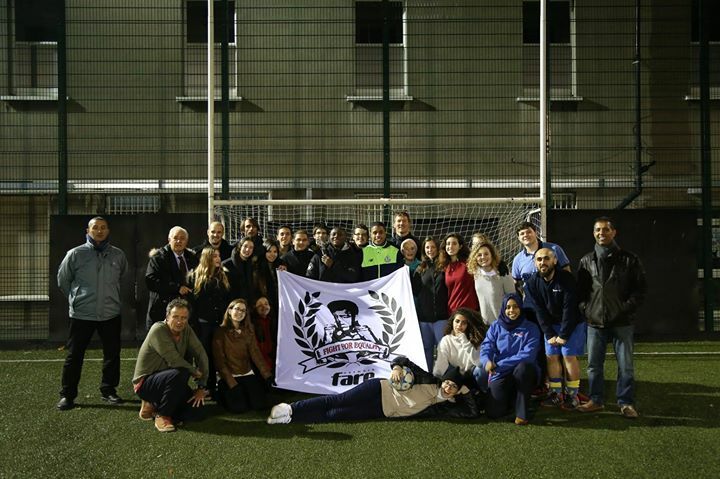 Fantastic news for all our Soccerniters and Hijabs and Hat-tricks participants. Plus we will be distributing to our participants all over the country.Those footballs should keep us going for a while! Do you know any school that might be interested in participating of a workshop in Sports Against Racism? Contact SARI - Sport Against Racism Ireland !! 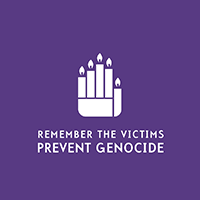 Today, 9th of December, is the International Day of Commemoration and Dignity of the Victims of the Crime of Genocide and of the Prevention of this Crime. Do you know there is a "Convention on the Prevention and Punishment of the Crime of Genocide"? Through SPORTS we can help fight against intolerance, racism and discrimination! The Team Up! Project: How to increase employability through football based programmes? More news soon! Today we celebrate the International Day for the Abolition of Slavery: "The focus of this day is on eradicating contemporary forms of slavery, such as trafficking in persons, sexual exploitation, the worst forms of child labour, forced marriage, and the forced recruitment of children for use in armed conflict", United Nations.